Can you imagine a modern, successful company without a logo? We can’t, either. A logo is the main identification element of any business. Back in the day, logo design was the prerogative of professional designers and artists. Luckily for common people, graphic design is becoming more inclusive and available to the masses. Nowadays, to create a clever logo for your website or personal project, you don’t need a design degree or to complete a course. What is a logo website and why do you need one? A logo is a small graphic sign that identifies a company, association, organization, brand, team, product, website or person. In today’s demanding environment, a logo must meet several criteria. Among other things, an emblem must be recognizable, memorable, easy-to-perceive and original. With the variety of logos that surround us, creating a unique and effective icon has become a challenge. At the same time, tough tasks are the most exciting and rewarding ones, right? Logos have a wide spectrum of applications. You can use your visual symbol on your website, printed matter (calendars, booklets, etc. ), packaging, signboards, billboards, ad banners and a variety of other backgrounds. With or without text, a logo creates a strong association with your brand. Therefore, you must come up with a well-thought-out emblem that will live up to your expectations and make a real difference. A poorly designed icon might not only prevent clients from noticing you; it might also create a negative impression of your corporate image and even force you to leave the market. To create a great logo, you must know how it can be advantageous for your business. How can you benefit from such a small thing as a logo? A good emblem works on many levels, i.e., it performs an array of crucial functions. 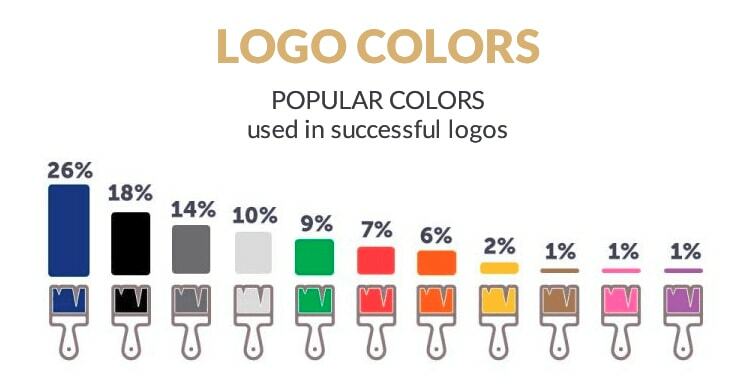 Check out the list below to learn how your emblem can benefit your brand. A logo makes your company, its products and its services more recognizable; it builds a positive company image and boosts your customers’ loyalty. A logo helps you stand out, differentiates your brand among competitors, and draws attention to your best qualities and accomplishments. A logo acts as an anti-counterfeiting tool, protects your copyright and proprietary rights, and guarantees the original design and high quality of your products. A logo, as the central element of your brand identity, serves as a point of reference for other corporate designs. Curious to know more about logos and brand identity? 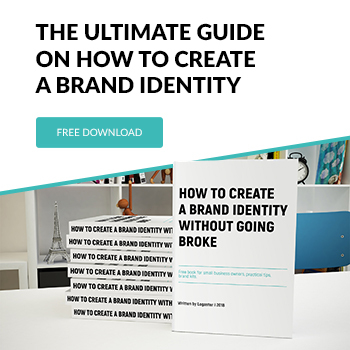 Click here to download our free guide “How to Create a Brand Identity Without Going Broke.” We’re sure you’ll learn many useful things! 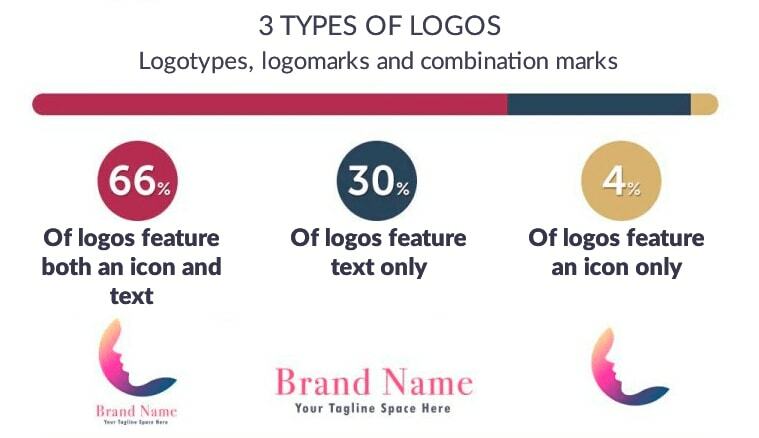 Logos come in three main types that differ by their structure. Let’s examine each type to determine which one will best fit your business. If you’ve browsed collections of logos, you’ve probably noticed that they differ mainly in their appearance. While some emblems feature only an icon, others include both an image and text (full company name, abbreviation, tagline, etc.). Following are the main types of logos every beginning entrepreneur must know about. Logomarks. A logomark contains only a graphic sign, without a text element. Conveying your company’s essence through imagery alone is tough. To create a full-fledged corporate logo without the help of text, a designer must be a true professional. Among all the types of emblems, logomarks are considered the most difficult to get right. A smart logomark can push your brand into the spotlight, making it instantly identifiable (think Apple, Mercedes, Shell, Mitsubishi, etc.). Still, logomarks account for only 4-5% of modern corporate images. Logotypes. A logotype includes text written in a stylized font. Depending on your message, you can choose either a plain font or more sophisticated typography. The text on your emblem can be in the form of a company name, an abbreviation, a slogan, a motto, etc. When designing a logotype, be sure to create a harmonious font-color combination. You can’t paint your letters in random colors and expect people to connect with your emblem. Several well-known companies (Coca-Cola, Disney, eBay and FedEx, to name a few) use logotypes to define their brands’ personalities. Currently, logotypes make up about 30% of all logos. Combination marks. About 60% of firms prefer to put both a graphic sign and text on their logos. You can say that a combination mark includes the best of both worlds. As a result, you get an effective icon, plus your company name is visualized in an attractive way. If you choose a combination mark, prepare to do extra work. You must create a balanced image-text combination and avoid bulky, over-the-top solutions. If you’re looking for a website logo, a combination mark is the best candidate. Now you must have a general idea of how important a logo is to your project. You don’t need just any logo; you need one that really works! Read on to learn how to create a smart symbol that will be worth your money and time. What makes a good website logo? Don’t even think about getting down to work until you have a clear idea of what your emblem must communicate to your potential customers. We’ll reveal the secrets of a successful corporate image in terms of color, typography, etc. If you’re serious about crafting a powerful company image, grab your pen and take notes! Uniqueness. To catch the eyes of your target audience, your corporate symbol must stand out from thousands of other logos. It must have something that will convince your potential customers that your brand is worth checking out. Remember that you have only a few seconds to get noticed. Simplicity. A smart logo is a minimalist and versatile one. It has no excessive, sophisticated elements and it looks great against any background, from a small business card to a huge billboard. Legibility. Whether a logotype or combination mark, your emblem must be understandable and easy to perceive. This is the rule of thumb for any design. Avoid over-the-top fonts that may confuse your audience. No one will spend their time trying to decipher what’s written on your logo. However, while you want to strive for originality, avoid turning your logo into a riddle. Scalability. Your corporate image must be easily resizable to fit any context. When designing your artwork, keep in mind that you may need (either now or later) to use it on different surfaces, including unlikely ones. Plus, your logo must look good when displayed on any screen, whether it’s a smartphone, laptop or tablet. Timelessness. A classy, timeless logo is one of the greatest assets your brand can have. With it, you can rest assured that your brand identity, into which you put lots of effort, won’t look out of place in a couple of years or decades. When it comes to creating a lasting emblem, rule No.1 is to avoid fly-by-night design trends. Your artwork must have the potential to grow and change with your brand without losing the key qualities that make it recognizable. Those are the general characteristics you must focus on when devising your logo concept. Now let’s examine individual elements that make up the core of your graphic design. According to a study done by Mindrepublic, most high-profile brands use black, blue, grey and white as their corporate colors. Such findings are hardly surprising. Serene and comforting, these shades are associated with feelings of stability, protection and trust. 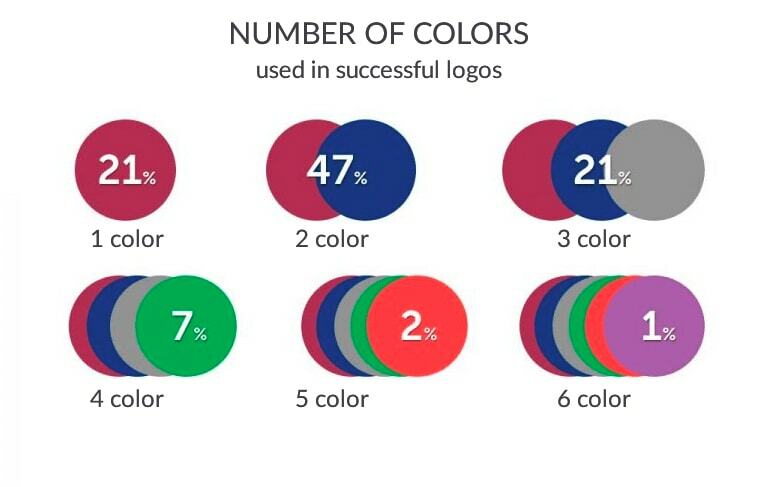 When creating a website logo, use 2-4 colors. Choosing an appropriate color palette is both fun and challenging. Mixing shades may take time but the result is worth it. Select 1-2 main colors to define the personality of your brand. You can choose additional hues to accentuate the key ones. Pay special attention to your background color. A white background is a versatile solution that will bring out the best in your logo elements, making them look sharp and stylish. Geometric shapes are no less important; each figure has its own connotations and meanings. Minimalist and concise, most successful emblems lack small elements and overly elaborate details. As for the most common geometric shapes, about 65% of all logos are in the shape of a polygon, while 35% of emblems are circles. If you want your emblem to have the desired effect on your audience, you must get its typography right. A crucial part of any logotype or combination mark, a font sets the mood for the entire design. For your website logo, legibility must be your primary concern. Potential customers should be able to easily read your company name and slogan. Test your selected font on different surfaces and devices. Plus, make sure the readability isn’t affected when your logo changes size. Choose no more than 1-2 plain fonts unless you want to distract or confuse your audience. If you’ve opted for 2 fonts, make sure they complement each other instead of each vying for your clients’ attention. Here’s one more important thing. Your font must fit your industry and reflect your company’s values and views. How do you know that your selected font might not be the right one? It’s a question of intuition and common sense. 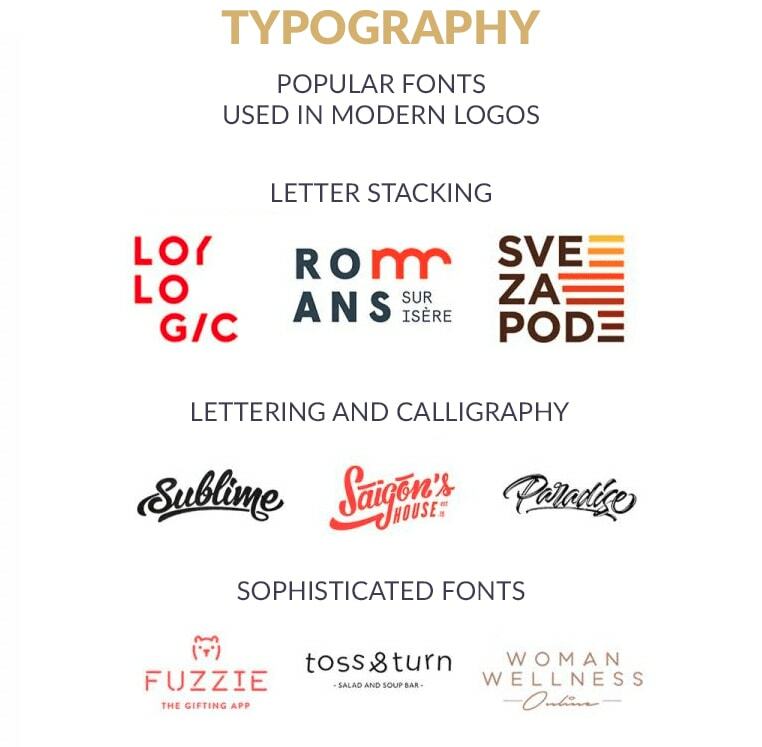 For example, Comic Sans is hardly the best choice for a high-profile consulting agency, while reserved Gothic fonts are a no-go for all entertainment-related brands (balloon sellers, movie theatres, etc.). In a good emblem, the font matches other logo elements (geometric shapes, patterns, colors, etc.). Make sure your font size isn’t too large or too small compared to your icon. A massive font will look ridiculous when paired with an elegant icon, and vice versa. How do you create a professional-looking logo for your website / blog? Nowadays, creating a website logo for free is not an unachievable dream. If you’ve done graphic design before, you won’t have any trouble designing an emblem using any image editing program. Luckily for everyday users, the choice of graphic design software is stunning, with Adobe Photoshop and Adobe leading the rest. Each program has its benefits and weak spots, so spend some time analyzing the pros and cons of each option. Plus, check out our article on creating a logo in Photoshop. We’ve broken down the process into steps so you can design your image with no stress. Online logo makers are, hands down, the easiest way to create a neat graphic design (especially if you’re pressed for time). 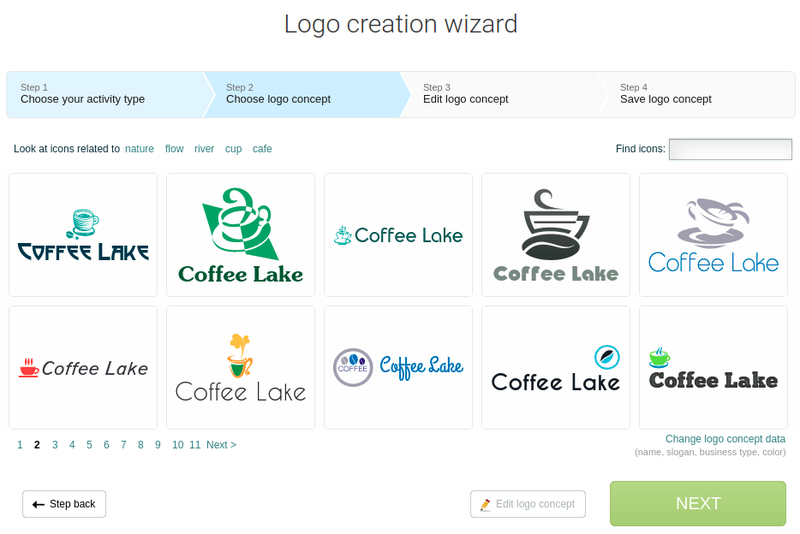 Logo generators boast impressive toolboxes that give users almost endless possibilities for expressing their artistic vision. Furthermore, you don’t need any special qualifications or skills to master modern image editors, as most of them have an intuitive and consistent design. 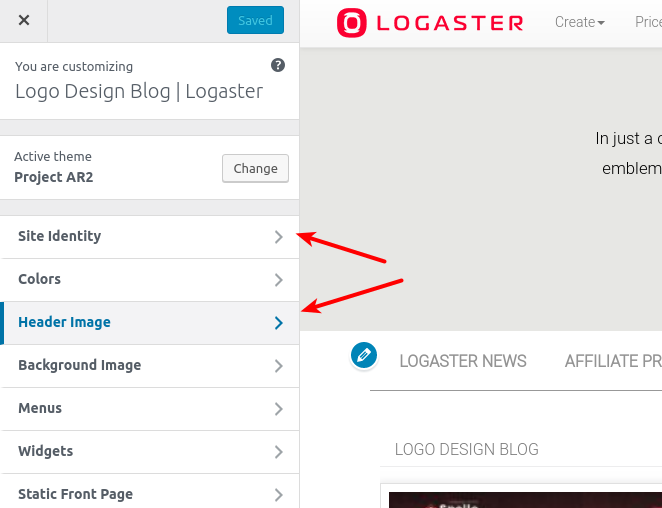 Among numerous design services, the Logaster logo maker is one platform that is definitely worth your attention. Logaster offers a wide array of features and options to create and edit logos and other graphic designs to create a full-fledged brand identity. One of Logaster’s benefits is that it has a great collection of Cyrillic fonts, which are rarely found on other platforms. 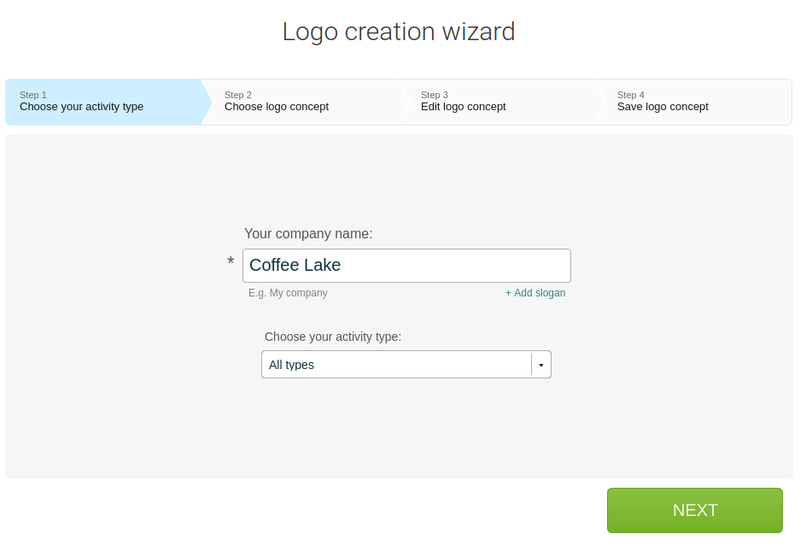 3) Logaster will offer multiple logo templates that fit your business specialization. Browse the available options and choose your favorite. If you can’t find what you’re looking for, enter your industry-related keywords to narrow down your search. 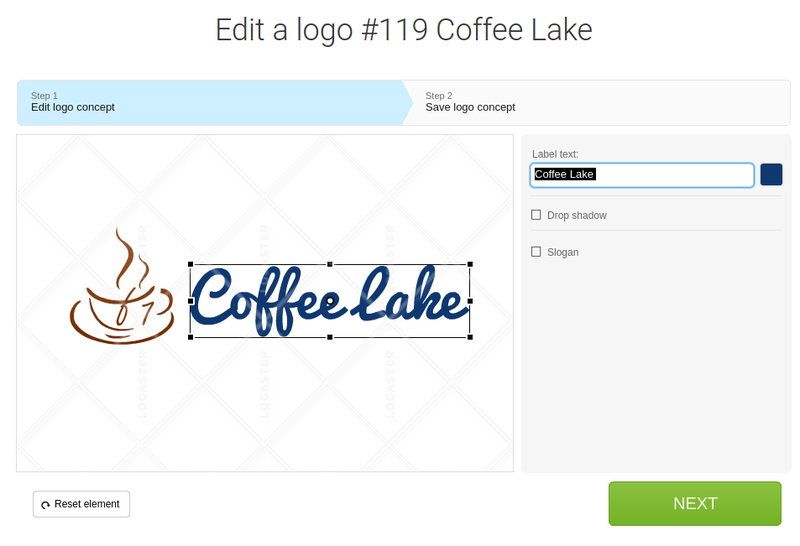 4) You can change your logo parameters, such as font, color, icon, etc. Once you’ve finished editing your template, hit the “Next” button. 5) Now you can download your emblem to your computer in small or full size. Plus, you can choose the most suitable format (PNG, JPEG, PDF, SVG). 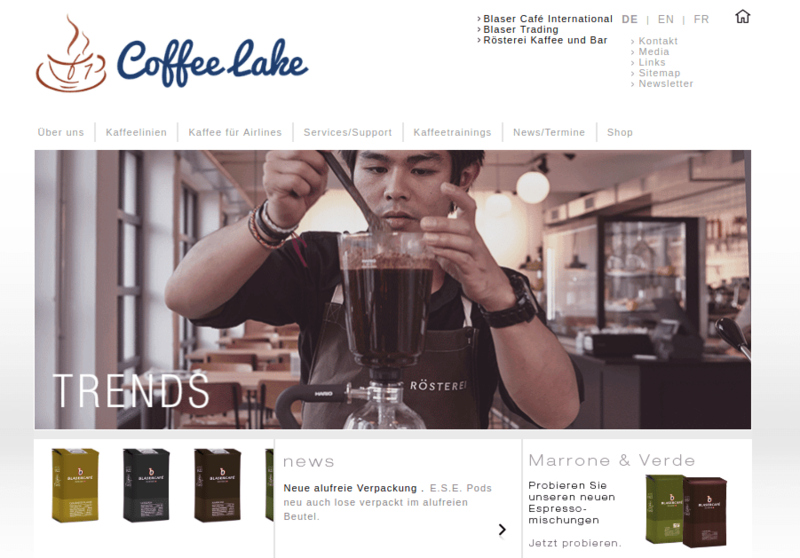 If you’re creating a logo for your corporate website, a horizontal layout might be a good idea. This is the most appropriate orientation for a logo displayed on a website. Now that you have your logo file (we recommend that you choose PNG format), you’ll want to upload it to your website. As most modern web pages run on WordPress, we’ll break down how to add a logo to a WordPress site. If you’ve never done anything like that before, don’t worry! It’s so simple, even a kid can do it! Don’t forget to replace “logo.png” with the name of your logo file. Add the code string to the header.php file inside your theme folder. Open the file with any text editor (e.g., Notepad) and insert the code right under <div id=”header”>. Now you must identify your logo location. To do that, add the appropriate styles string with the needed logo size for website (e.g., style=”width:70px; height:70px; margin:10px; float:left;”) right after title=”logo”, before. If the method described above seems too complicated, don’t worry! For almost every situation, there’s an easier way to do things! 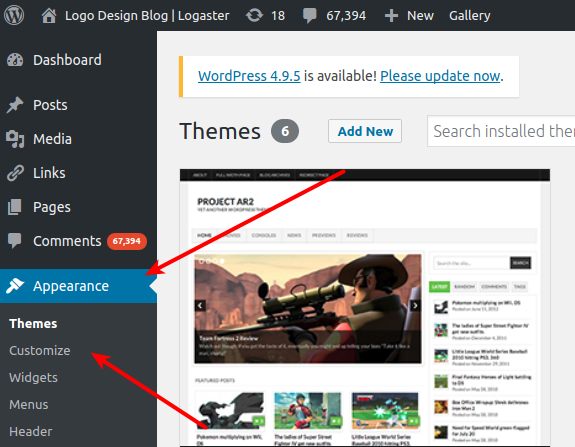 Here’s an alternative method to bring together your emblem and your WordPress site. 1. Log into your WordPress control panel. 3. 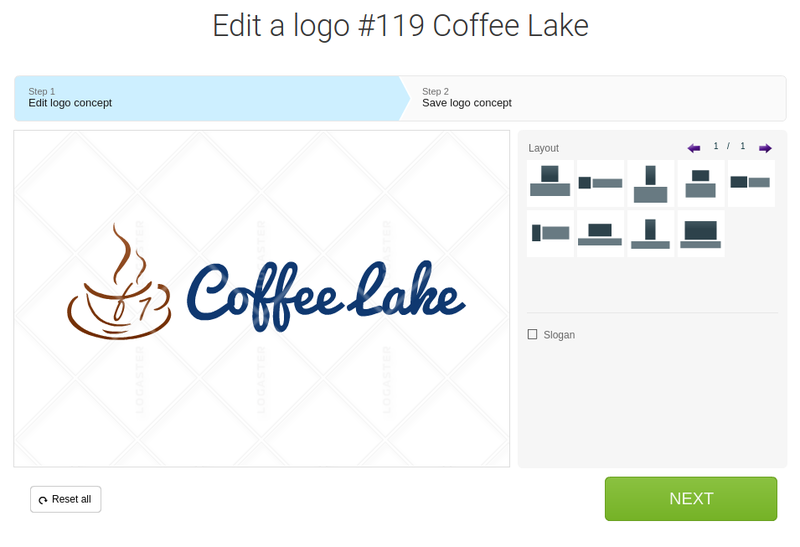 Go to the “Add Logo to Admin” section and upload your logo file by clicking on “Select Image.” Save the changes. We recommend using a PNG emblem on a transparent background. That’s it! By following these simple steps, you’ll have no trouble uploading your new artwork to your site, thus creating a custom, memorable web page. In this article, we’ve covered how an amateur can craft a smart corporate design for his or her website. As it turns out, there’s nothing difficult about it! A logo is much more than eye candy that makes your site and promotional items look appealing. A clever, elaborate logo can benefit your business on many levels. Creating an emblem is both art and hard work. To craft an effective corporate design, you should focus on qualities such as minimalism, legibility, uniqueness and balance. With clever logo makers (e.g., Logaster) at hand, crafting an edgy, coherent logo becomes an exciting artistic journey. We hope this article has made the logo creation routine crystal-clear to you! Credit card payments are accepted now!